You can download a digital version of this week’s NME for free. It’s a Festival Guide 2009 special, including listings, camping survival tips and this year’s festival anthems-in-waiting. 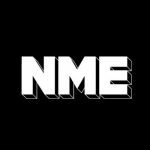 Head to the NME magazine digital download page to claim your free copy. Lily Allen also shares her tales of festival fun spent with Liam Gallagher and Joe Strummer. Plus – Peter Doherty and Babyshambles prepare to knock Oasis off their perch as Britain’s biggest band. We name the 10 tracks you need to hear this week – featuring Little Boots, VV Brown, Pop Levi and Enter Shikari. Find out who impressed us at 2009’s Camden Crawl. In Albums this week, we put Green Day‘s ’21st Century Breakdown’ under the microscope.